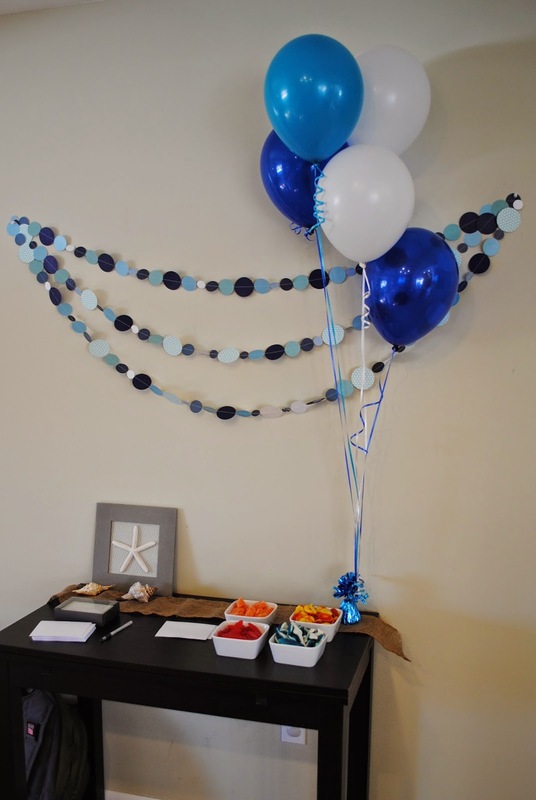 My friend Amy and I had the chance to host a shower for our amazing friend Sarah and her baby boy. 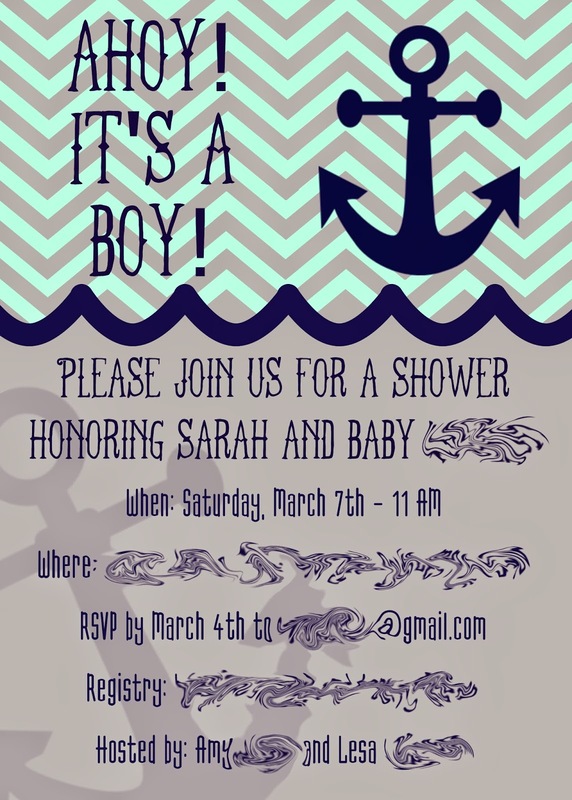 I have been itching to host a shower for years and was so excited to bless Sarah. 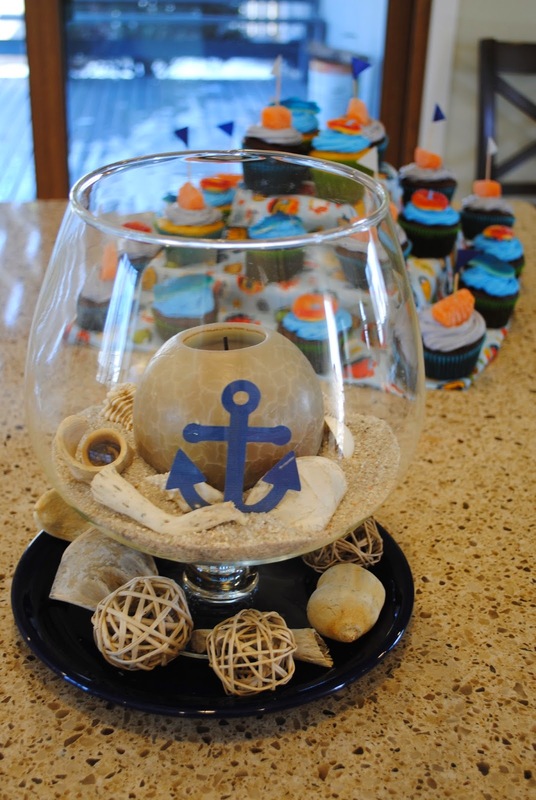 We went with a nautical theme of "Ahoy, It's a Boy." 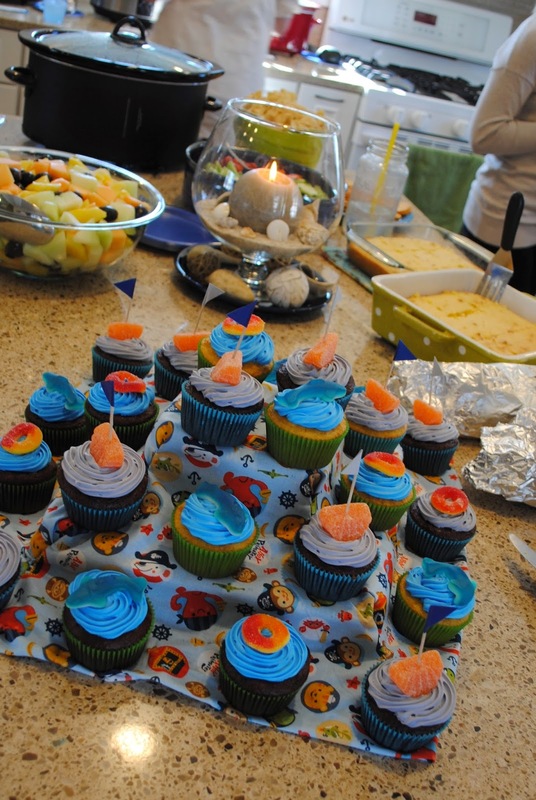 I was in charge of the invitation and desserts and Amy handled decorations and most of the meal. 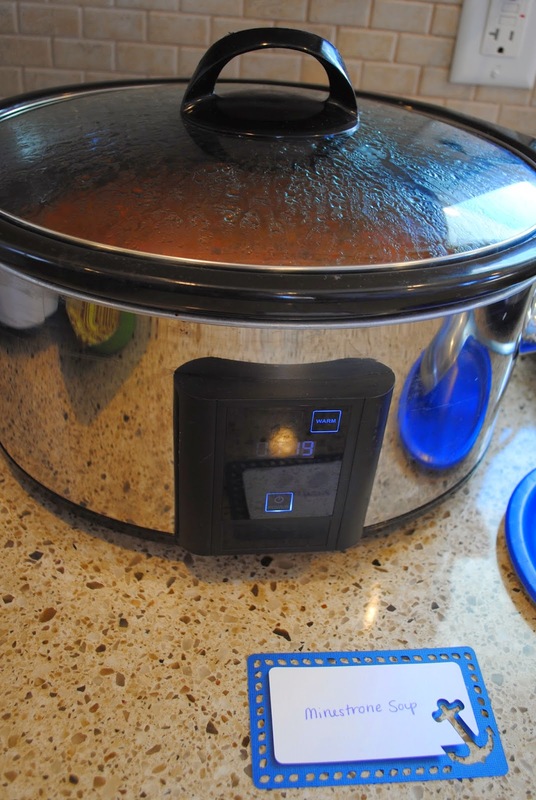 Amy made three delicious soups for lunch; minestone, ham chowder, and chili. We had all bread and all the fixings plus fruit, veggies and buffalo chicken dip (provided by several other friends). I was also in charge of entertainment. With 22 kids and 4 on the way in this group, we have had our share of showers. I wanted to make sure and choose a game we hadn't played. 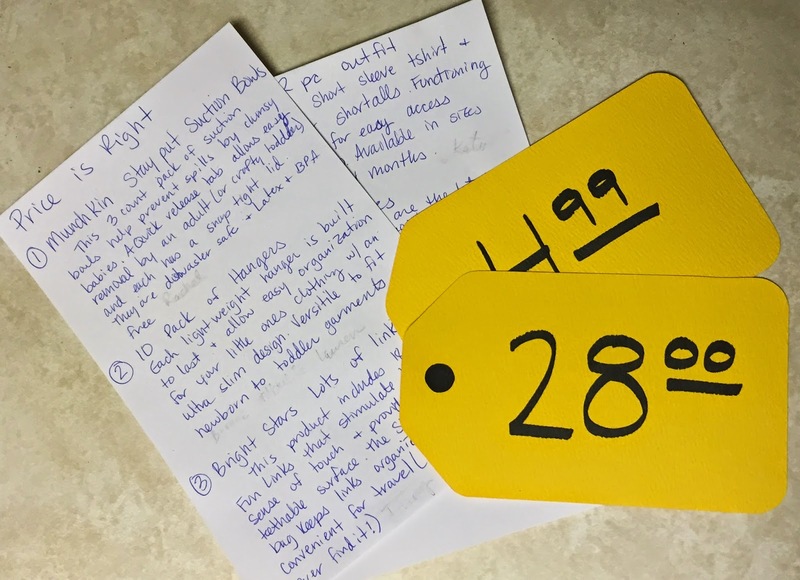 I did a "Price is Right" game for my friend Leah 3 years ago and decided to resurrect it! I did make some modifications and went all out this time. 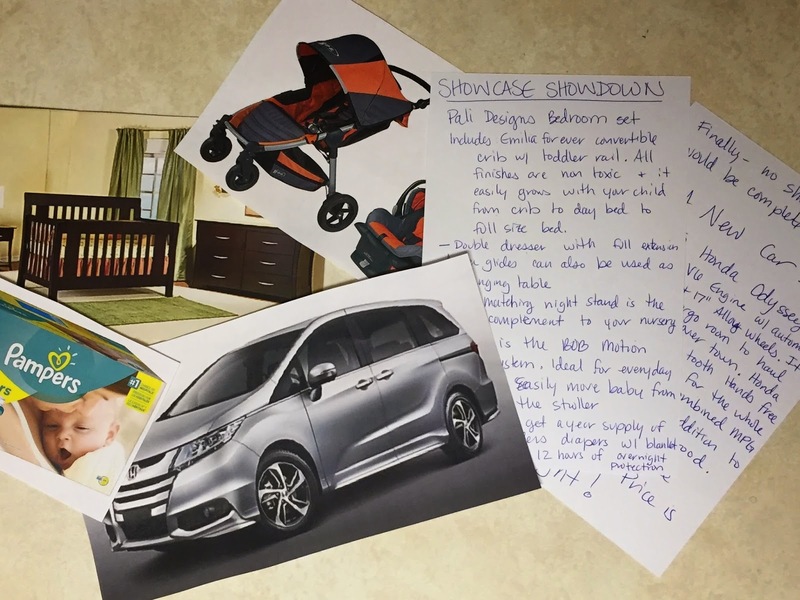 I even wrote down scripts for product descriptions and I added a showcase showdown. I really hammed it up! No trip to the Price is Right is complete without a NEW CAR! Sarah opened gifts and got some helpful tutorials from our group's first mom (and shower game beast) Katie! It was another amazing afternoon with an amazing group of women. 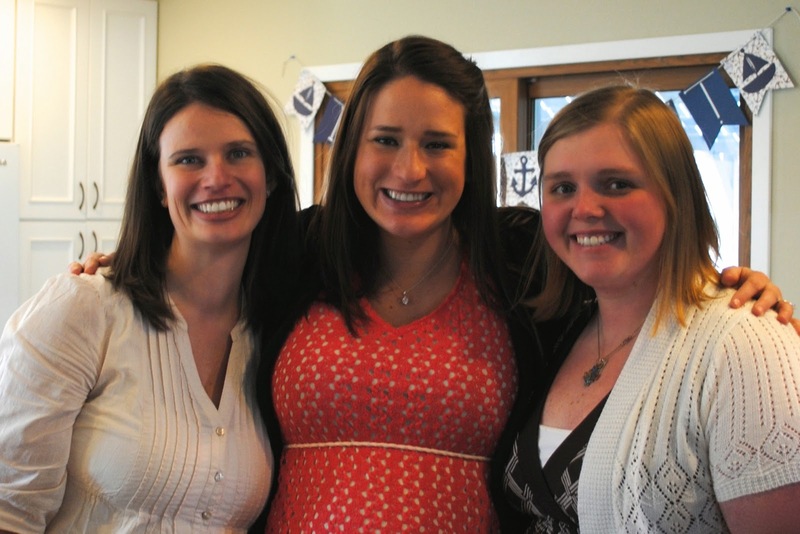 We love you Sarah and can't wait to meet your little sailor!